[ BULK UP YOUR BOTTOM LINE Our Thermalex® Polyurethane Insulated Panels offer a true thermal break and are available in 3 rib styles and 2 colours. ] 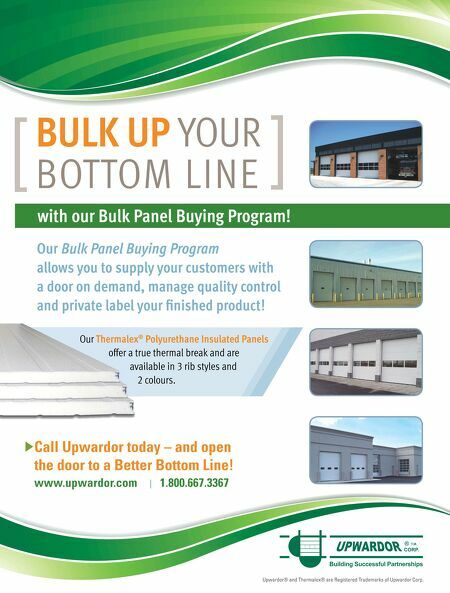 with our Bulk Panel Buying Program! Our Bulk Panel Buying Program allows you to supply your customers with a door on demand, manage quality control and private label your finished product! Call Upwardor today – and open the door to a Better Bottom Line! www.upwardor.com I 1.800.667.3367 Building Successful Partnerships T.M. 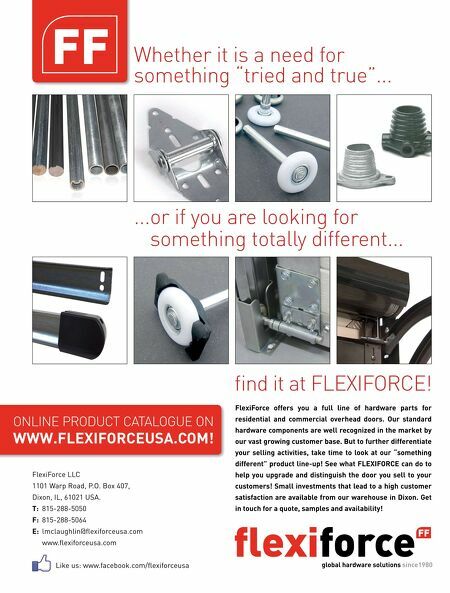 CORP. ® Upwardor® and Thermalex® are Registered Trademarks of Upwardor Corp.